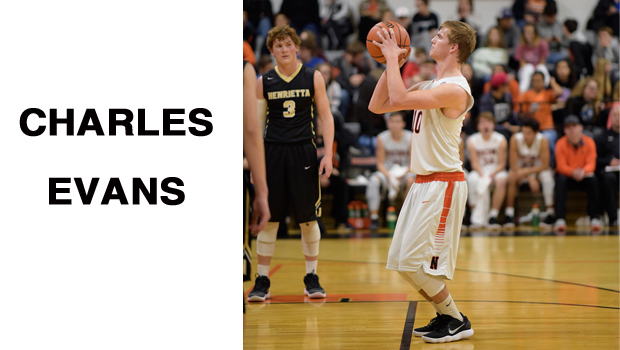 In their final game on their home floor, the Nocona boys put together a performance indicative of them playing at their best on senior night against Henrietta on Tuesday. The Indians were able to pull away and win easily 49-31. The first quarter was close as Henrietta was able to make a couple of 3s to keep them in it as the score was tied 11-11 heading into the second quarter. Nocona started to get after Henrietta with their full-court press defense that led to easy baskets and re-energized the intensity of the press. The Indians led 26-17 at halftime and never looked back. Henrietta was never able to get comfortable with the press as it affected their ability to get into their half-court offense and settle into a rhythm. Nocona’s offense never got rolling like they can get, but they were able to extend their lead throughout the game. The final score was a comfortable 49-31. For more, pick up a copy of the weekend edition of the Bowie News.